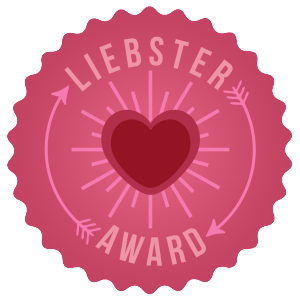 I was so honored when I found out that Domesticated Wild Child was nominated for a Liebster Award! I want to thank Tonya over at Comfort Couture for the nomination! -Thank the blogger who nominated you, answer the questions given to you, nominated 11 other bloggers with less than 200 followers, post 11 questions for those bloggers to answer and let them know about their nominations with a tag and a post on their blog. Why did you start to blog? I always enjoyed writing and wanted a place to write freely. Who do you admire most in your life? Strong women who do things that aren’t expected of them. What is your favorite movie or Broadway show? I love The Big Lebowski, I can watch it a million times and laugh every single time. What/Who makes you smile everyday? My son, he’s at the age where his personality is really coming out and it’s pretty entertaining. What is your favorite food? Pizza, I can eat it all day long and never get tired of it. Where is your favorite place to travel? I haven’t traveled as much as I would like but I love going to South Carolina to visit my family. I always have a great time there. Mac or PC? I love my Mac, I use a PC at my office job and it drives me crazy! What/Who is your daily inspiration? Being a good wife and mother, everything else doesn’t matter in the end. Summer or Winter? Summer, summer, summer!!! Winter can go far away and never come back! What is your favorite “me” time activity? Sitting outside on a beautiful day and reading a book. If you could learn another language, what would it be? Polish, my heritage is Irish and Polish so I would love to be able to speak the language. Nobody in my family who spoke it is around anymore. What is your favorite springtime activity? What is the last movie that you’ve seen? If you could have dinner with one famous person, living or dead, who would you choose? What motivates you to write when you have writers block? Thanks again to Tonya! Congrats to my nominees! I’m sending many hugs your way, and I am humbled that you even considered The Brown Girl with Long Hair. I understand, I had to show your blog some love! Oh wow, Jessica thank you so much for the nomination! I almost did not see your email because for some reason it went into my spam box. Yikes! Thank goodness I check that thing every once in a while! I am so very honored to have been nominated by you–THANK YOU!! I actually just saw Inside Llewlyn Davis this weekend (another Coen brothers movie) and think “Big Lebowski” is still one of my favorites (though the soundtrack to ILD is worth listening to!). Thanks for including me and giving me an award nomination; stop by Wednesday for a shout-out and my answers! Thanks Erin! I love your blog also, I’m a “Everything in it’s place” person so you give great ideas!